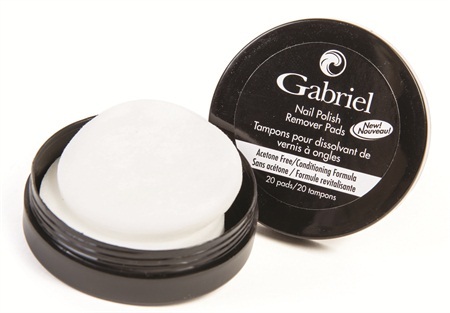 Gabriel Cosmetics’ Nail Polish Remover Pads are acetone-free and will not dry the skin. The pads are infused with a conditioning formula and have a fresh citrus scent. For more information, visit Gabriel Cosmetics.